Combination Locks Now Available At Sixteen Different Locations In The Community Each Week. 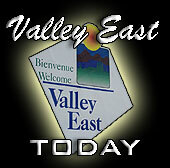 Moving Into A New Home or Apartment In Valley East or Capreol? Don't Forget To Pick Up Your "Welcome Home Gift Basket"
The 2006 Mini-Masters Takes Place on August 12. The 15th Annual Mini-Masters Junior Golf Tournament will be held at the Valley Family Golf Centre on Regional Road 15 just outside Blezard Valley, on Saturday, August 12, 2006. 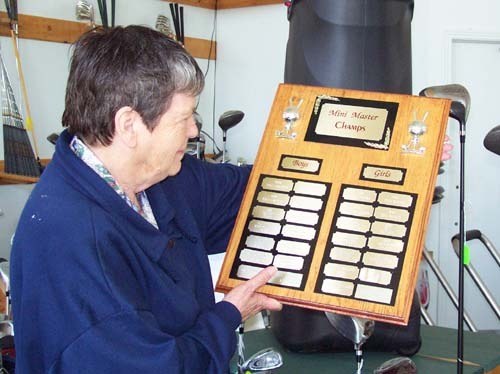 Myrna Young, shown looking over the plaque with the past winners, has been involved in every one of the events. The tournament is open to all boys and girls from the ages of 4 through 12. It consists of a nine-hole tournament; special skills competitions; a barbeque lunch; prizes and trophies. The action starts at 9:30 a.m. Registration fee for the tournament is only $35. For more information on how you can register your child, call Myrna or Vic at 897-7400. This is a special fund raiser being held by the youth group of The Grotto of Lourdes Shrine. Tickets are $10 per person and prizes will be given out during the evening. The youth are challenging the adults to come out in great numbers. The Royal Canadian Legion Capreol Branch 179, Capreol has established a special Trust fund for the benefit of Trevor McDavid's wife, Giselle and their two daughters. 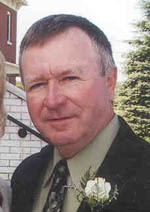 Trevor McDavid, 31, was killed July 13, 2006 in a helicopter crash during a rescue exercise off the coast of Nova Scotia with the Canadian Armed Forces. McDavid grew up in Capreol. He was the father of two and he and his young wife are expecting a third child. McDavid grew up in Capreol and is fondly remembered by all who knew him. Donations may be made at these location: The Capreol Legion, Northern Credit Union, Capreol Liquor Store, Joan's Variety and M&R Grill. Cheques, made out to The Trevor McDavid Trust Fund may be mailed to The Royal Canadian Legion, Branch 179, 16 Young Street, Capreol ON P0M 1H0 Tel: 705-858-1522. Ron Pedneault, owner of Fantastic Floors, located in the Valley Bingo Plaza in Val Caron, prepares to discuss some new flooring options with one of his customers who have just purchased a new home in Valley East . The young couple is looking forward to moving into their home at the beginning of August and wanted to make some changes to the existing floors. Here they were going over some of the samples of ceramics and porcelain which are becoming ever popular throughout the entire house, not just in the kitchen and bathrooms. 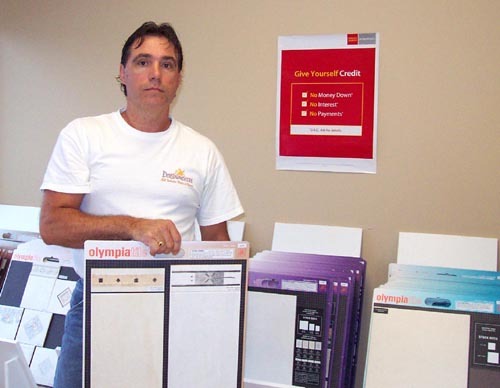 Ron advises that if you are preparing to move into a new house this summer or fall, it would be a good idea to meet with him to go over the options and plan your renovations to coincide with your moving date. Even if you are still “looking” for that perfect house, stop by and talk about the different kinds of flooring that you can order and get an idea of approximate cost so that you can include floor replacement in your cost calculations at the time of purchase. It doesn’t hurt to talk, and Ron will always find time to give you free advice. “You wouldn’t believe the number of people I’ve seen who are moving into homes in the Valley. 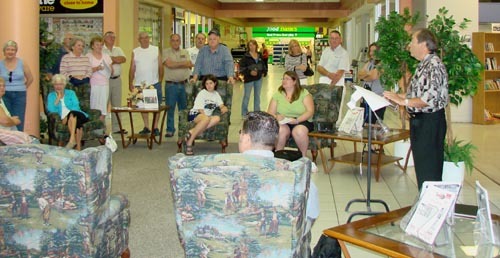 We knew this community was going to grow, which is one of the main reasons we wanted to open FANTASTIC FLOORS,” stated Ron, who after spending over 30 years working in the flooring business on everything from installing to sales and management, has found that the transition to owning and operating his own store has been extremely satisfying. 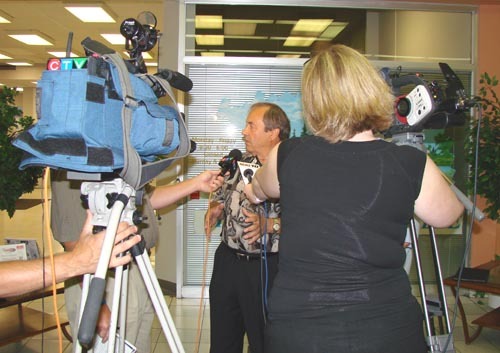 “We will do anything we can to help the Valley grow and prosper. 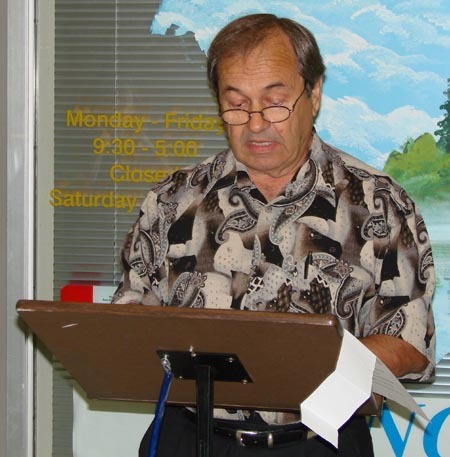 That is why we are participating in the Valley East Lions Charity Days Treasure Hunt,” he explained. FANTASTIC FLOORS will have one of the twelve (12) combination locks on site from July 20 to July 26 and again from August 10 to 16. Anyone who has a combination is invited to stop by and see if you can open the lock and qualify for a trip to Cuba . Masciangelo Motors has recently expanded the the amount of space it has on site for vehicles and the result has been a huge increase in the number of cars and trucks on the lot for customers to browse through. The Valley East Ringette Association invites everyone to a Corn Roast at Neil's Independent Grocer in Hanmer on August 19, 2006. The event will be held from 10 a.m. to 4 p.m. There will be community vendors, fun and games; music; street ringette; hay and pony rides; a car wash; BBQ, and more. From 6:00 p.m. to 11:00 p.m.